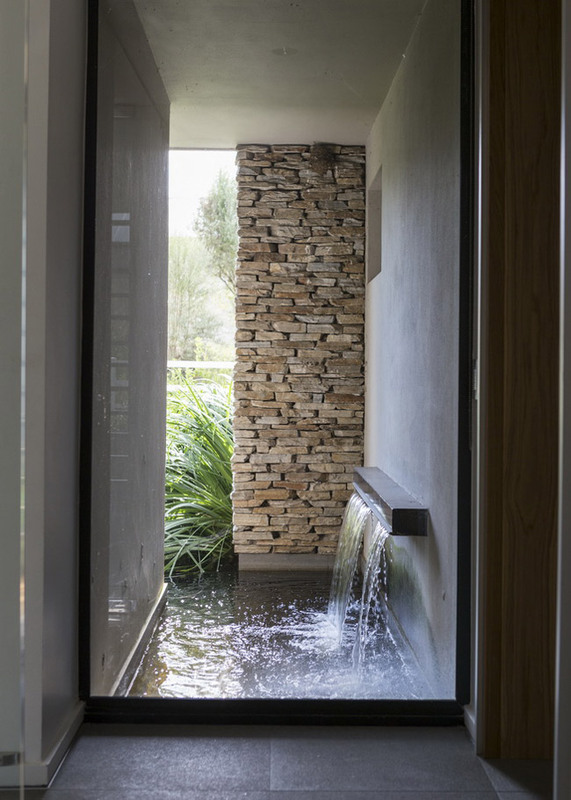 House in Blair Atholl was completed in 2015, designed by Werner van der Meulen of the Johannesburg-based studio Nico Van Der Meulen Architects. 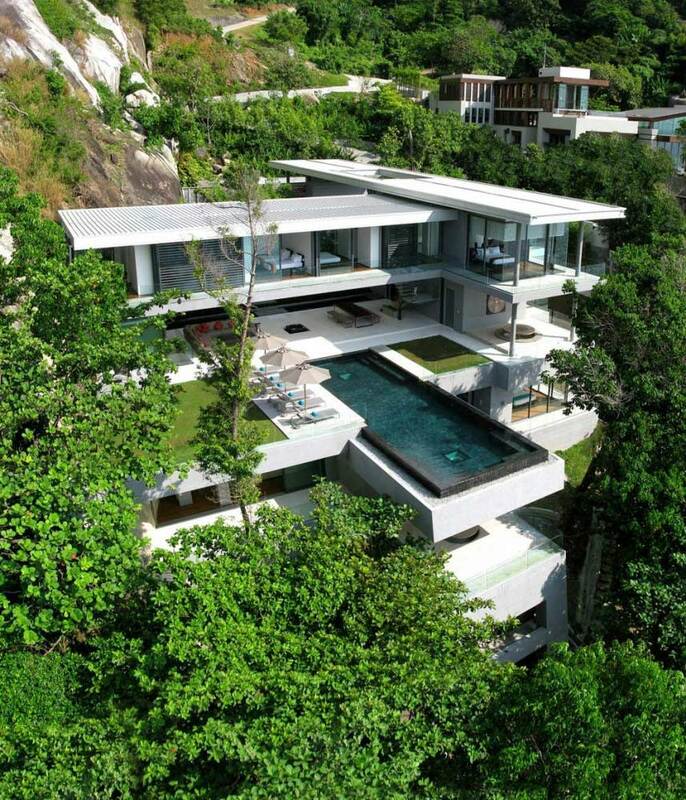 This stunning 8,072 square foot contemporary home has been structured with an emphasis on outdoor living and entertainment. 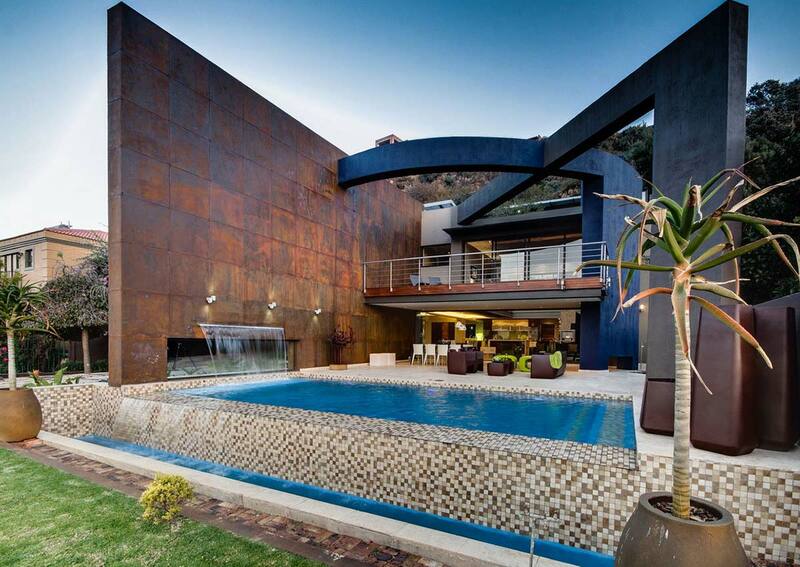 House in Blair Atholl is located in Blair Atholl, Johannesburg, South Africa. 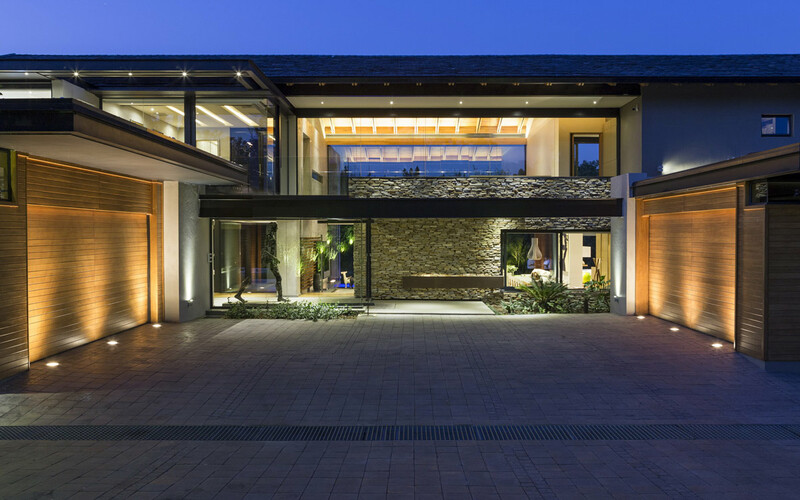 “House in Blair Atholl is one of the most recently completed projects by the highly acclaimed Nico van der Meulen Architects. 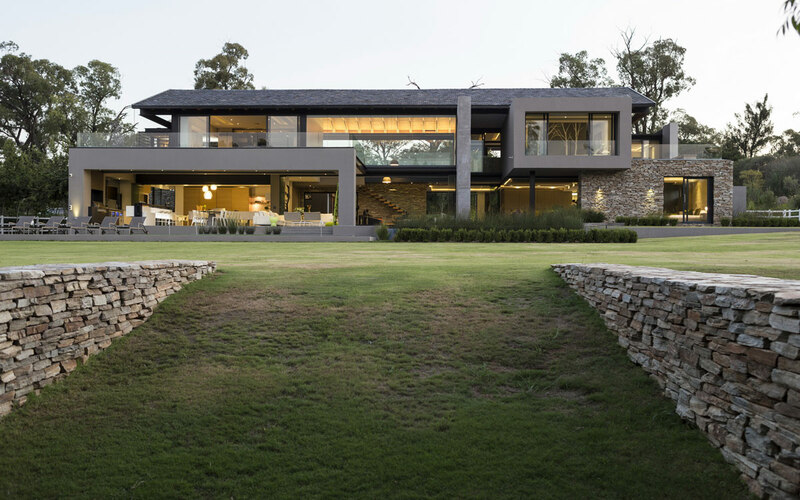 This luxurious contemporary farmhouse is situated within a secluded golf estate located between Pretoria and Johannesburg, South Africa. 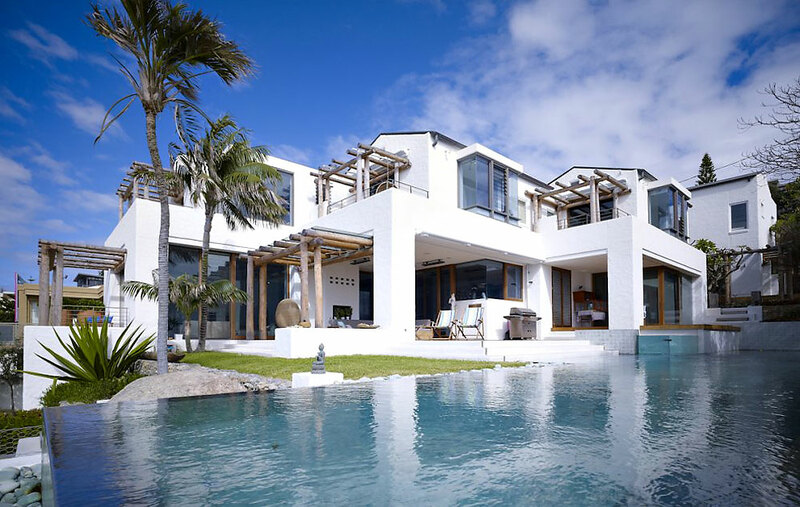 Designed by Werner van der Meulen of Nico van der Meulen Architects, this double storey home boasts nearly 750 m² and is surrounded by serenity and tranquility. Free from high boundary walls and electric fencing, this is a design with a difference. With unrestricted views of the countryside, the expansiveness of this home is certain to catch your attention as you approach the house. 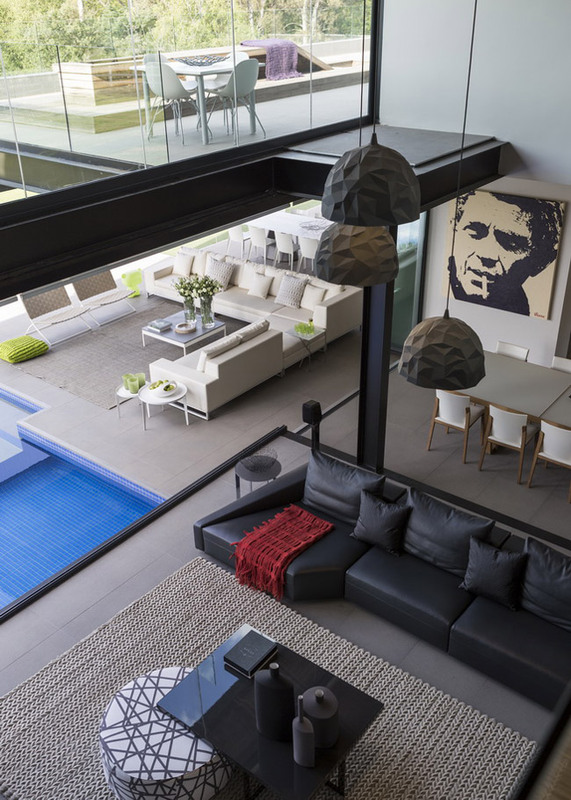 The brief called for a contemporary, practical home that makes provision for outdoor living with an emphasis on entertaining. 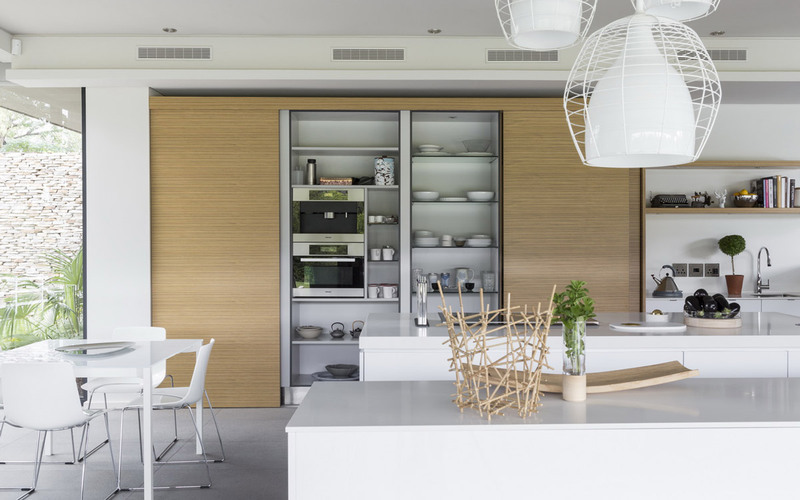 Due to the form-follow-function approach of the design, this modern family home is spacious and uncluttered from unnecessary decorative elements. 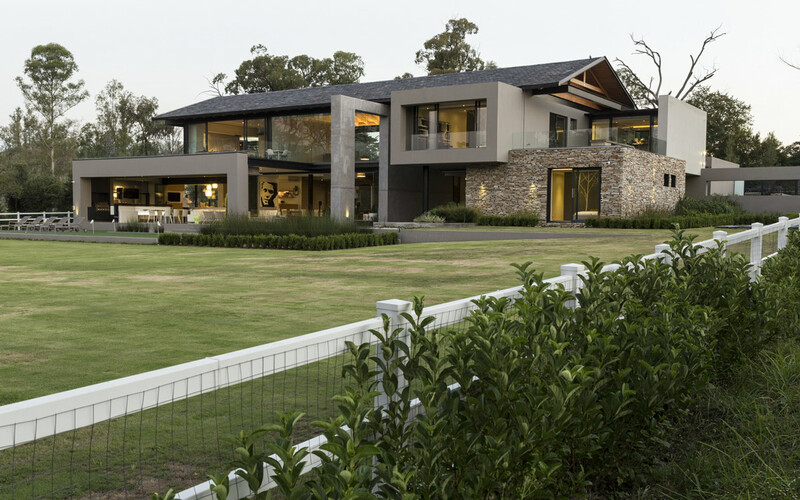 The design concept is undoubtedly a strong one which speaks for itself and whilst Werner van der Meulen was restricted by the estate rules which included making use of pitched roofs and specific natural materials, it was in fact these very parameters which led to the concept of a contemporary farmhouse. The floating double pitched slate roof also played a huge role in the development of the concept and reinforces the contemporary nature of the design. Orientating the house northwards allows for the home to be naturally lit all year round and provides expansive views of the garden from nearly every room. 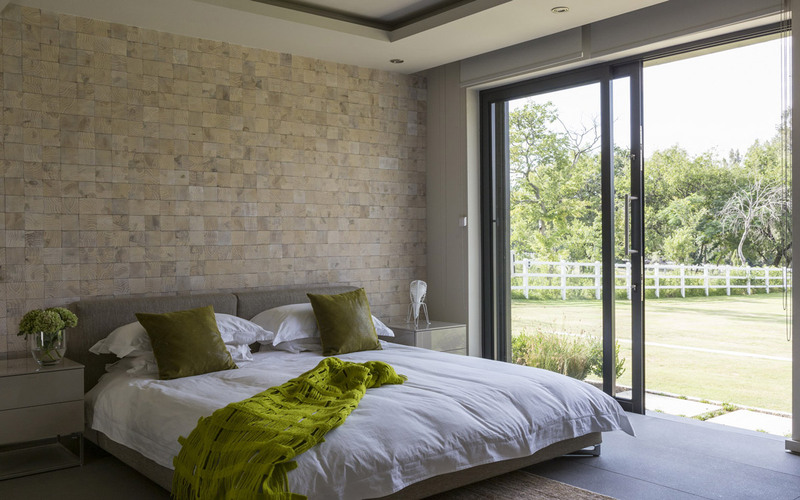 While the overhangs provide protection from the sun during the summer, they also ensure that the sun still penetrates the rooms during the winter months. 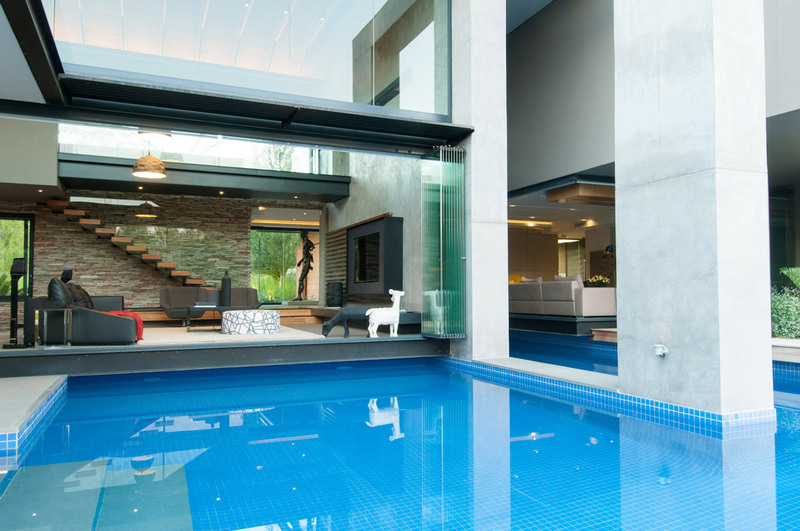 The double volume entrance hall is partially surrounded by glass and bordered by two double garages on either side. 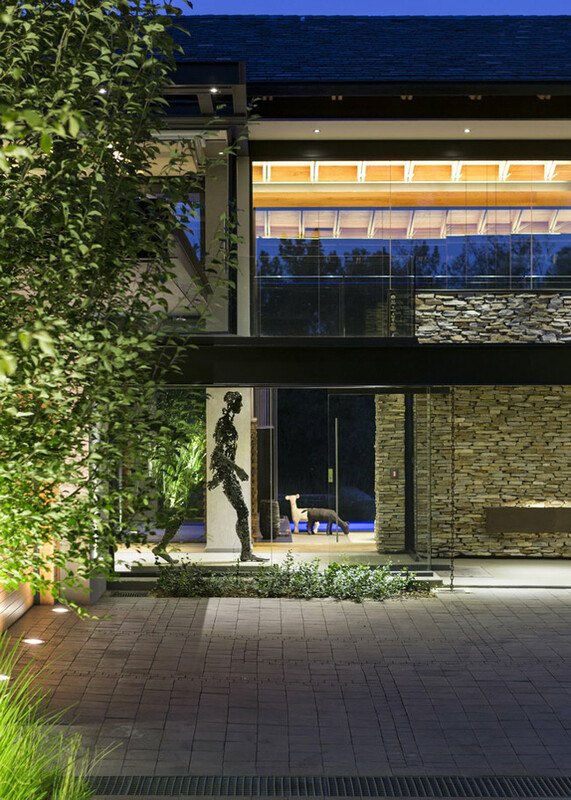 The symmetry of the solid timber garages highlights the transparency of the house as views of the garden captivate you even before you have entered. 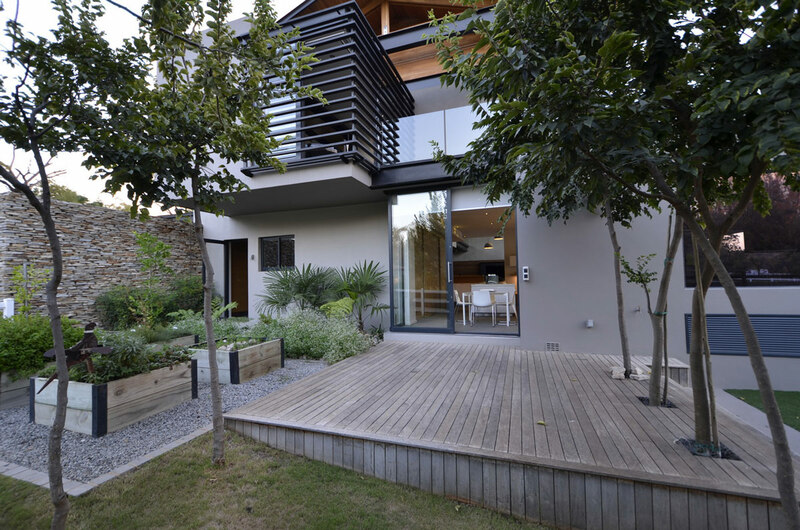 Enveloped in natural wood, the garage doors disappear into a timber wall. Once inside you appreciate how effortlessly the open plan spaces flow into each other, with the living room, dining room, kitchen and lanai all in close proximity to each other. 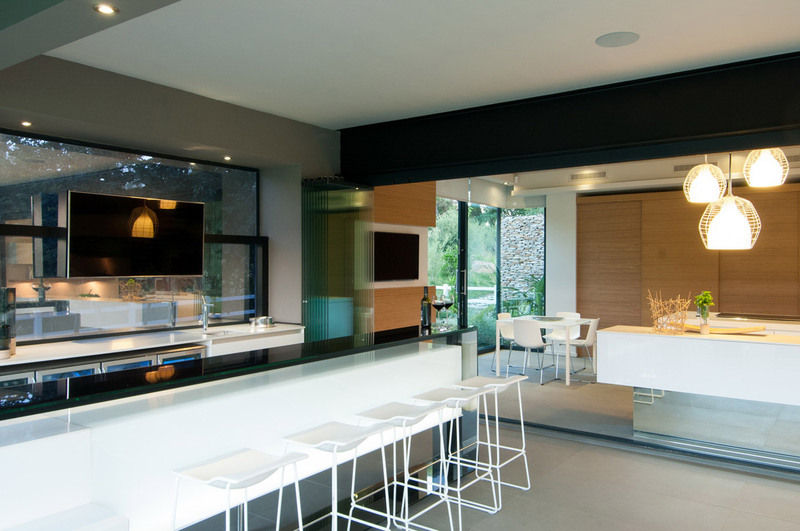 The frameless folding doors create an invisible threshold between the inside and the outside, and when completely open, the lanai becomes an extension of the kitchen and family/dining room and vice versa. 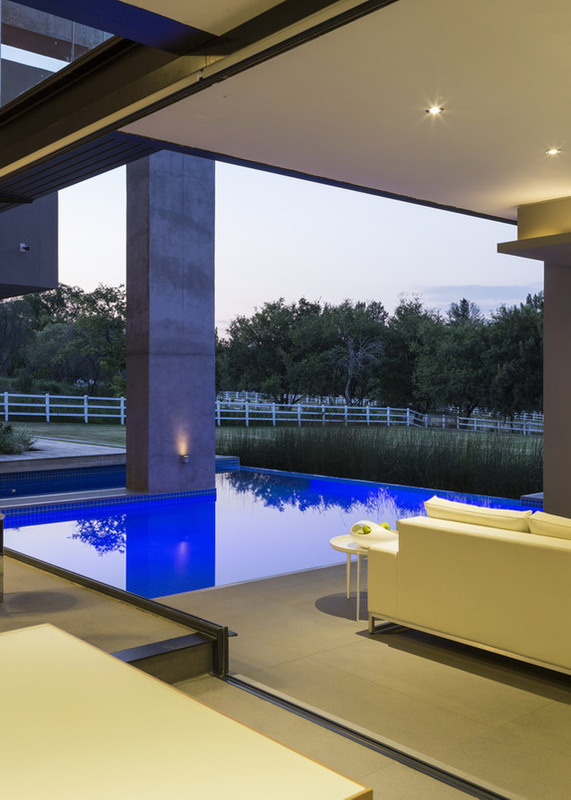 The spacious lanai accommodates a braai, bar and seating area making it ideal for entertaining while the swimming pool is integral to the design of the lanai and extends beneath the cantilevered floor slabs. 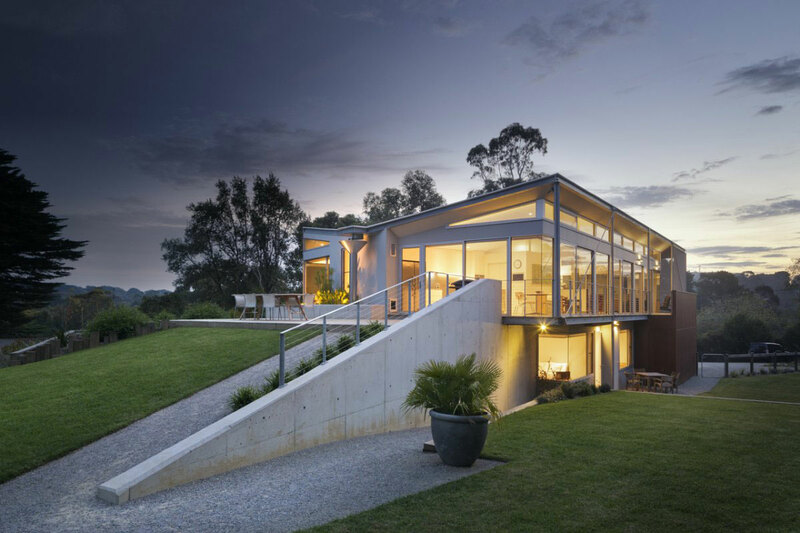 The floating roof rests on a wall of glass while the slightly elevated lanai encourages landscaped terraces to connect the house to the countryside. 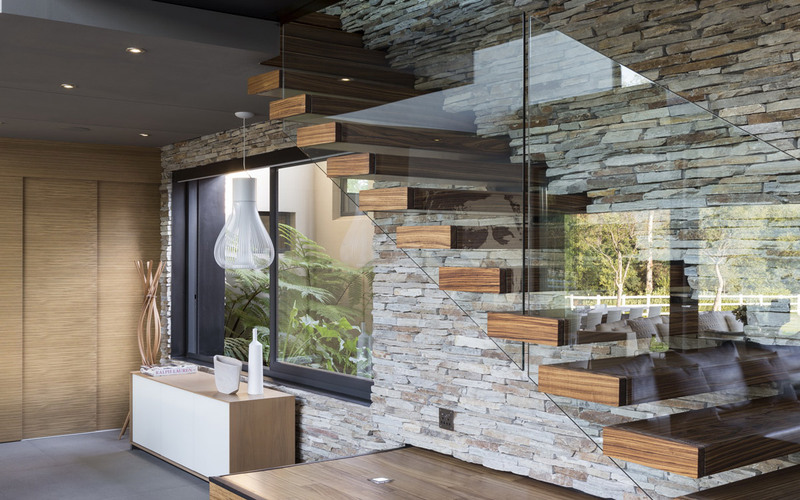 The floating timber staircase becomes a grand feature which floats above the floor plane as the natural stone cladded wall forms the perfect frame for the sculptural masterpiece by Regardt van der Meulen. A bridge with glass balustrade connects the two wings of the house while also maintaining a sense of privacy for the main bedroom which is located on the eastern wing of the house. 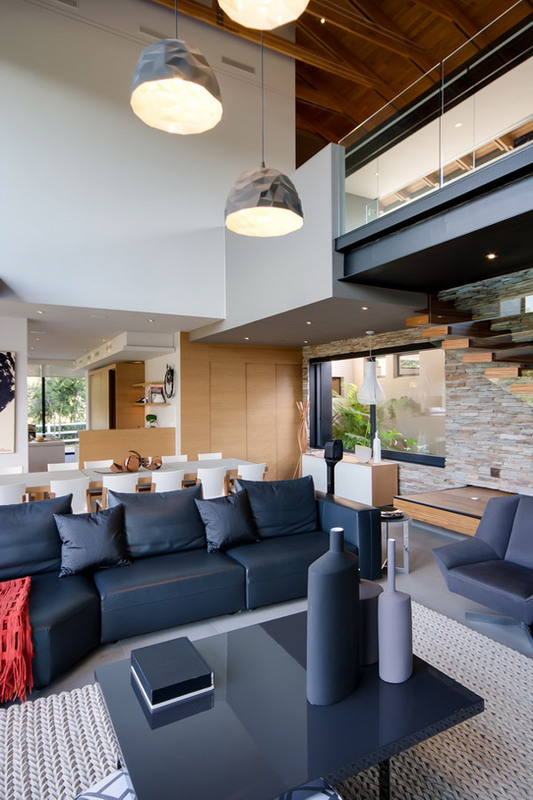 All the rooms have been organized around the double volume living space which becomes central to the family’s lifestyle. The two en-suite children’s bedrooms are positioned on the western wing with their own private balconies. 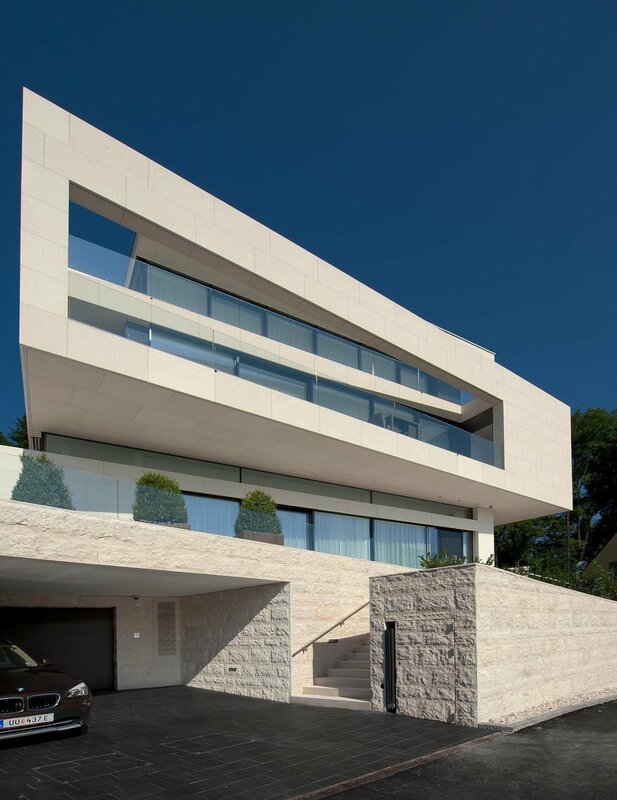 M Square Lifestyle Design ensured that a mood of warmth and comfort filtered through into the interior spaces, and that the finishes remained true to the architecture of the home, thus emphasizing the modern clean lines and natural materials used throughout this house. 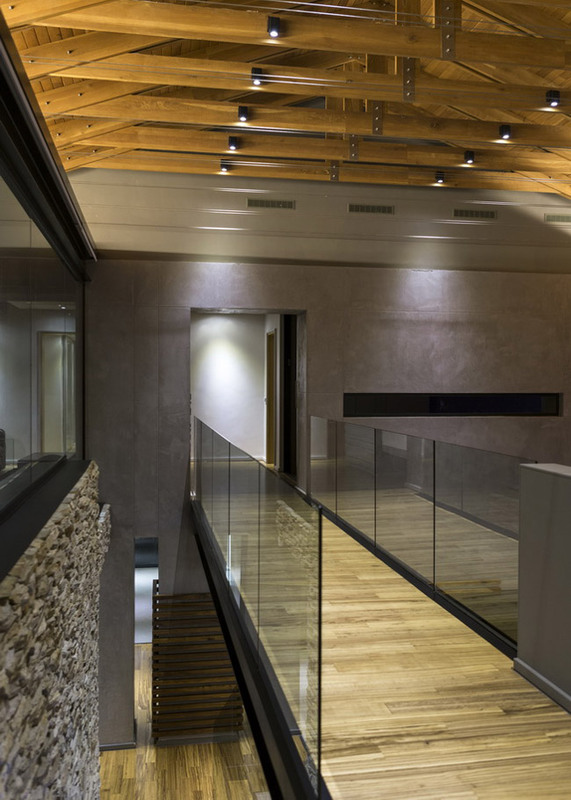 To achieve this M Square Lifestyle Design set out to incorporate materials like timber and stone, as well as materials such as concrete and glass into the interiors of the home, which facilitates in seamlessly blending it in with the estate’s country environment. Making use of these materials created a textured and unique interior all the while aiding in the flow of inside and outside spaces. 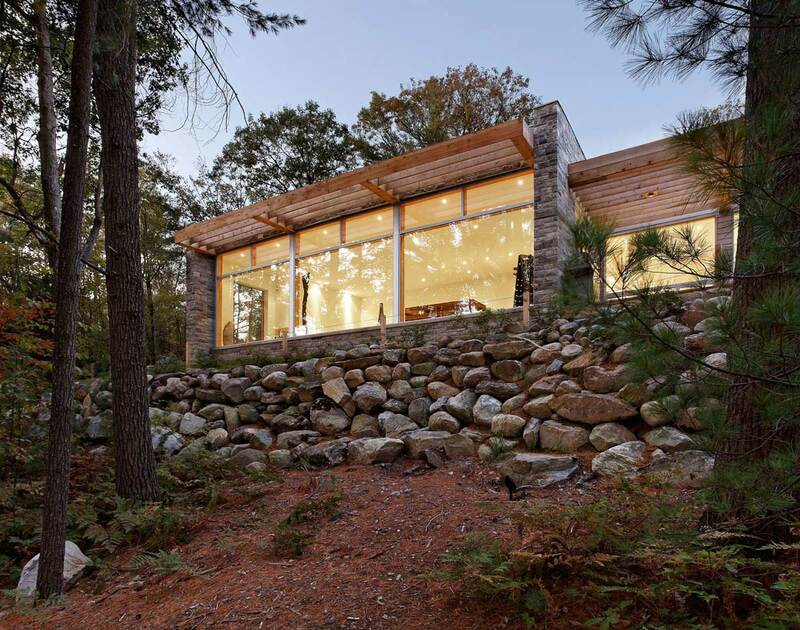 This visual incorporation of the exterior flowing into the interior, along with the linear design elements, allowed the area to further remain practical and uncluttered. The scullery, wine cellar and guest toilet are strategically concealed behind shop-fitted components enabling a simple contemporary interior. The kitchen counter doubles up as a server for both the kitchen and the lanai. 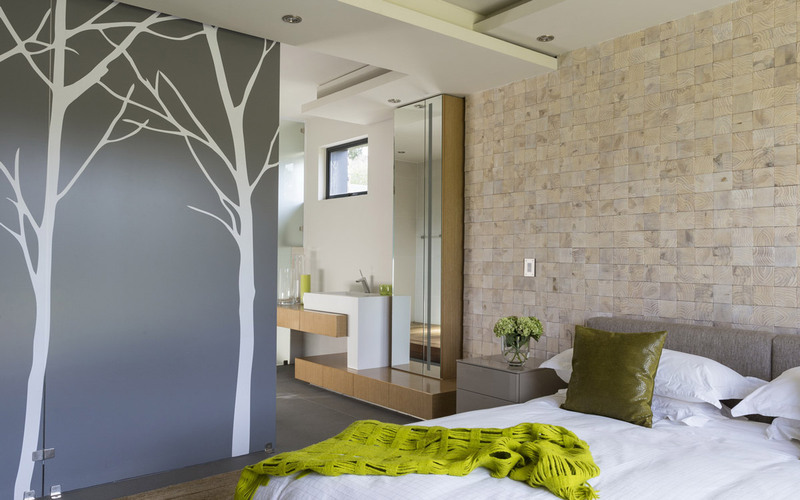 The design of the main bedroom incorporates a private lounge and a discreetly screened walk in dressing room. The tinted glass screen offers privacy for the dressing room thus adding an element of luxury with its high gloss finish. 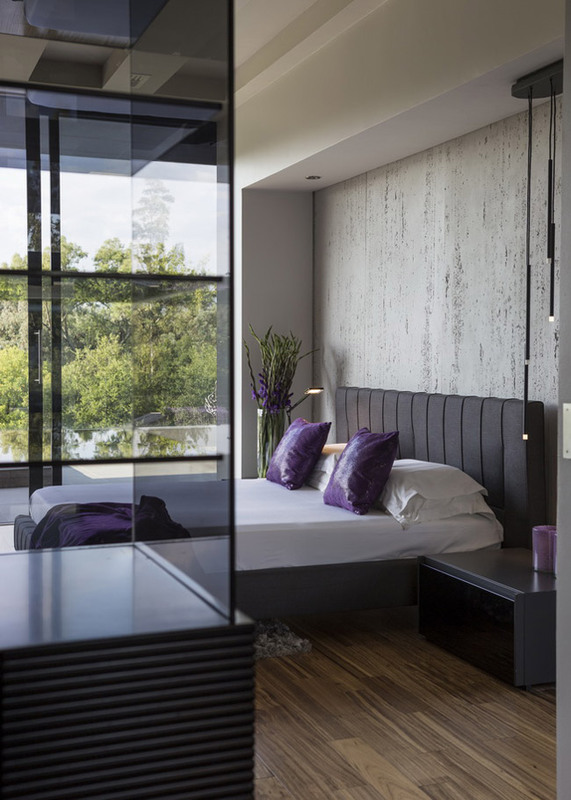 The suite flows onto a large private balcony with magnificent views of the paddocks and surrounds. 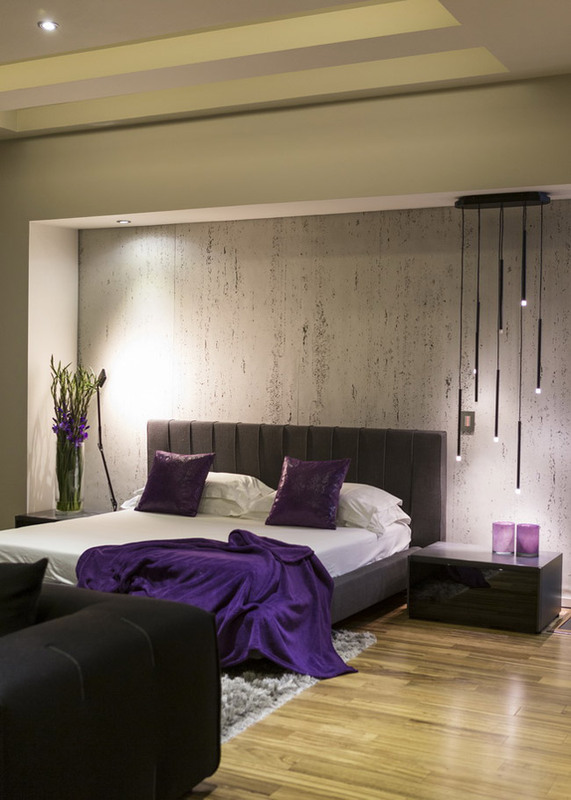 The bed is perfectly positioned in a recessed niche lined with textured wallpaper creating an intimate setting. 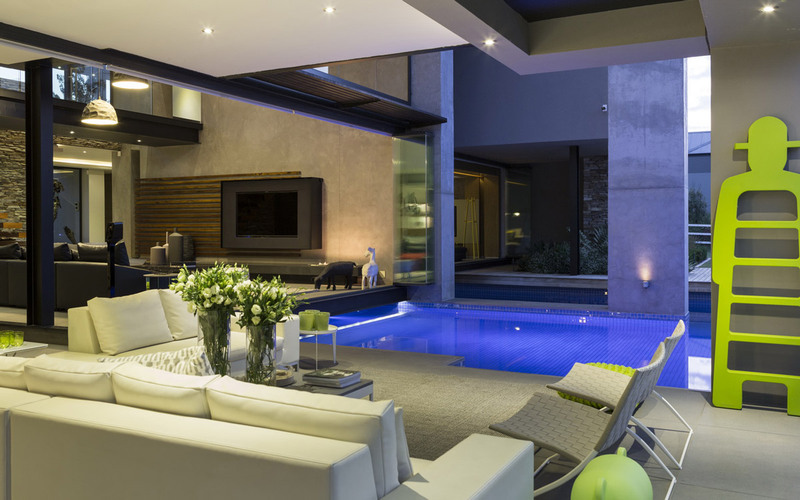 M Square Lifestyle Design and Nico van der Meulen Architects have flawlessly merged the interior with the exterior, while M Square Lifestyle Necessities’ supply of contemporary furniture, sourced from the finest international brands, completes the home’s luxurious look. This results in visual continuity between every room and every aspect of the home, which ultimately lends itself to the family being able to interact from every space in the home.